It's this crazy time of year again, and I would like to take a moment to wish everyone a Merry Christmas. I hope you have a jolly time with family, friends, or a relaxing break, or just some down time if that is the way you choose to spend the holidays. I'd also like to say a very big thank you to everyone who has supported me throughout 2016. It's been an eventful one, with more to come in 2017. 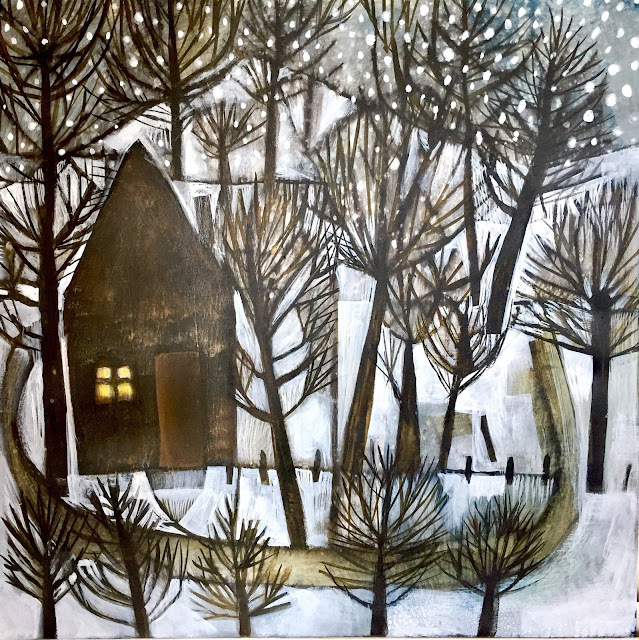 See the creation process of 'Let it Snow' on my Facebook page with instructions on how to win a place in the Creative Leap course, and a print from my Etsy shop. I have now released two 2017 dates for my Explore Colour online courses. There is an Early Bird offer until 3 January for both the Creative Leap, and Still life Course. The online courses have limited places, so book early. They also make ideal gifts for the creative one in you life, or treat yourself and start 2017 on an energetic and creative note. All the online courses now also include exclusive live demonstrations every weekend during the course via Facebook Live. I will be launching new prints and products in my ETSY store in the next month. If you are still looking for a last minute Christmas gift have a look here. These limited edition prints are shipped all over the world. Comment your favorite song below and allow the readers stay motivated! With over fifteen million here digital songs readily available, there's music for each and every taste.